These fortified trading posts, founded between 1482 and 1786, and spanning a distance of approximately 500 km along the coast of Ghana between Keta in the east and Beyin in the west, were links in the trading routes established by the Portuguese in many areas of the world during their era of great maritime exploration. The castles and forts were built and occupied at different times by traders from Portugal, Spain, Denmark, Sweden, Holland, Germany, and Britain. They served the gold trade of European chartered companies. Latterly they played a significant part in the developing slave trade, and therefore in the history of the Americas, and, subsequently, in the 19th century, in the suppression of that trade. They can be seen as a unique “collective historical monument”: a monument not only to the evils of the slave trade but also to nearly four centuries of pre-colonial Afro-European commerce on the basis of equality rather than on that of the colonial basis of inequality. They represent, significantly and emotively, the continuing history of European-African encounter over five centuries and the starting point of the African Diaspora. 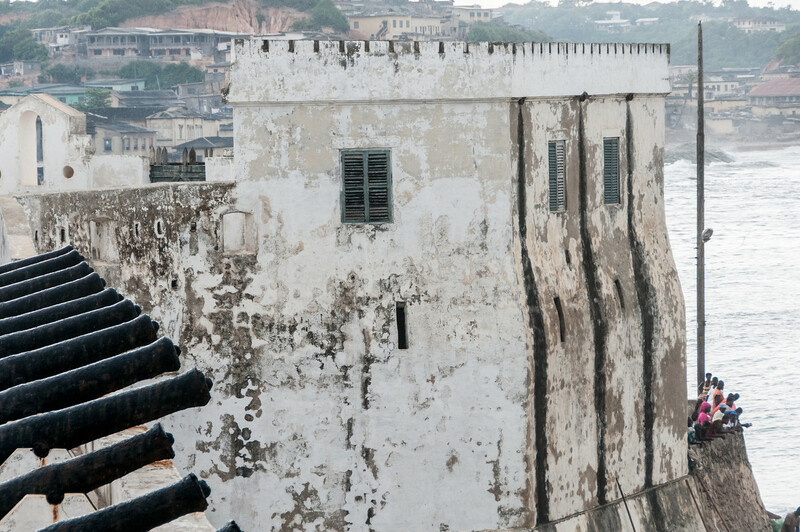 I visited both the Cape Coast Castle and the Elmina Castle as part of my 2014 West Africa Cruise on G Adventures. 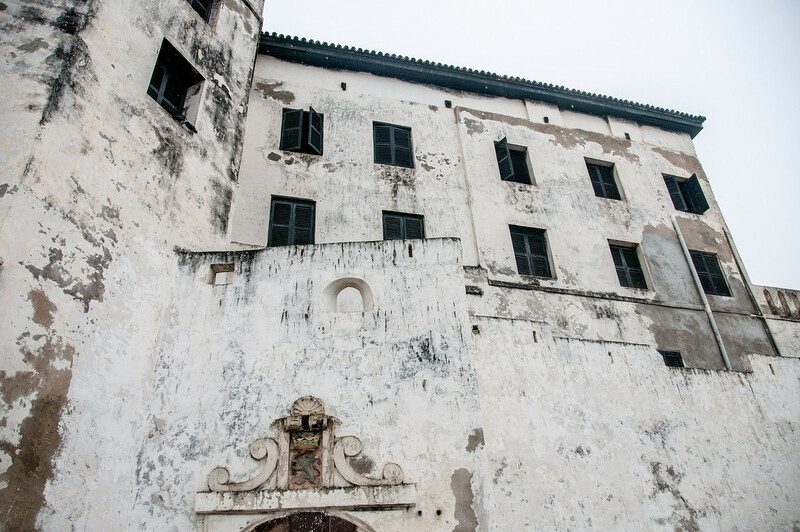 The image shown is on the Elmina Castle. The slave trade is one of the most significant and common historical themes which can be seen along the coast of West Africa. Millions of people were captures, almost always by other Africans, and traded to Europeans before being shipped off to work in New World plantations. The slave trade was so large that the area just to the east of Ghana was known as the Slave Coast. The forts in Ghana are far easier to visit, and are better preserved, than the slave forts in other neighboring countries. Ghana has a better tourism infrastructure and has more resources to devote to cultural preservation. That isn’t to say they are perfect but far better than their neighbors. 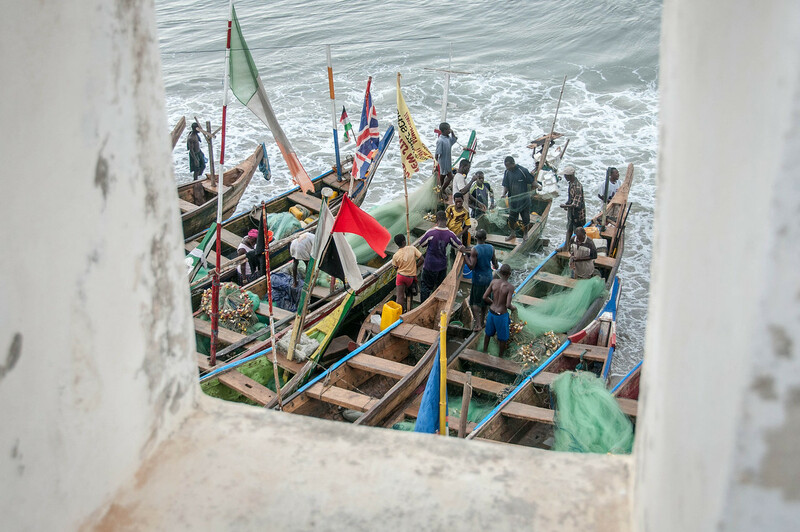 In addition to the forts themselves, the nearby fishing towns and villages provided an amazing opportunity for images of boats and fishermen. I would consider the forts and the slave trade history to be a highlight of any visit to Ghana. The Forts and Castles, Volta, Greater Accra, Central and Western Regions is a cultural UNESCO World Heritage Site in Ghana. It was inscribed in 1979 and is a collective site that includes outposts and Western-style fortifications. Most of these structures were built by the British, Portuguese, and Dutch rulers in the region. These structures were also constructed along the Gold Coast during the colonial period in Ghana. Hence, the Forts and Castles, Volta, Greater Accra, Central and Western Regions is an important cultural emblem as it is a testament to the colonial influence in the region. In addition, it provides an important glimpse into the trade of gold and slaves. 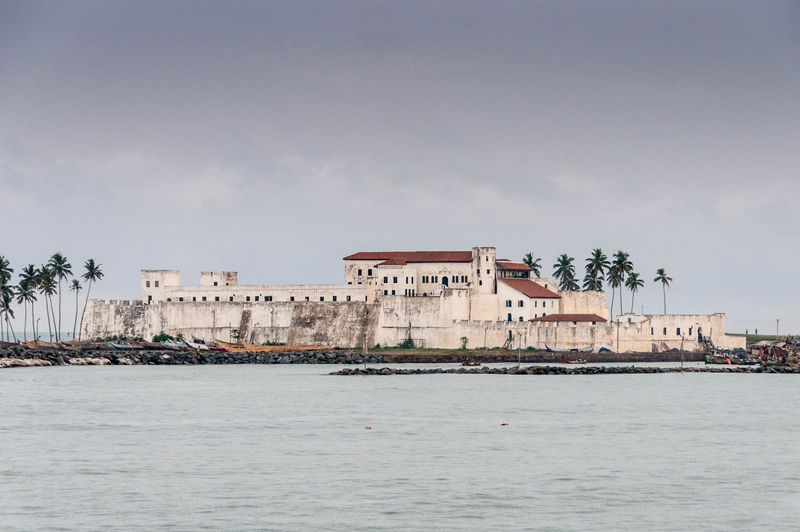 The Elmina Castle is a 15th-century castle that was erected by the Portuguese colonizers in the Elmina region of Ghana. This was an important monument because it marked the first trading post that was constructed along the Gulf of Guinea. Therefore, it earns the recognition as the oldest European building that existed south of Sahara. In 1637, the Dutch seized control of the fort from the Portuguese. This is another component to the UNESCO site Forts and Castles, Volta, Greater Accra, Central and Western Regions. It is a fort that was built by the Portuguese colonizers in the early 16th century at the town of Axim. Due to its location, this fort was the first one that Dutch traders would encounter. This Dutch fort is located along the Gold Coast and was built in the late 17th century. After the Dutch, this fort was occupied by the British from 1781 to 1785. Eventually, this fort was ceded to the British colonizers along with the rest of the Dutch Gold Coast. Fort San Sebastian is another monument that is part of the UNESCO site Forts and Castles, Volta, Greater Accra, Central and Western Regions. It is located in Shama and was built in the 1520s by the Portuguese. It served as a trading post until it was captured by the Dutch in 1642. This structure is a trading post and fort that was established in 1656 by the Dutch colonizers in the Gold Coast. The British eventually took control of this fort in 1872. This fort was historically important since this is where the Treaty of Butre was signed. The Fort Conraadsburg is another fort that was built along the Gold Coast in the mid-17th century. 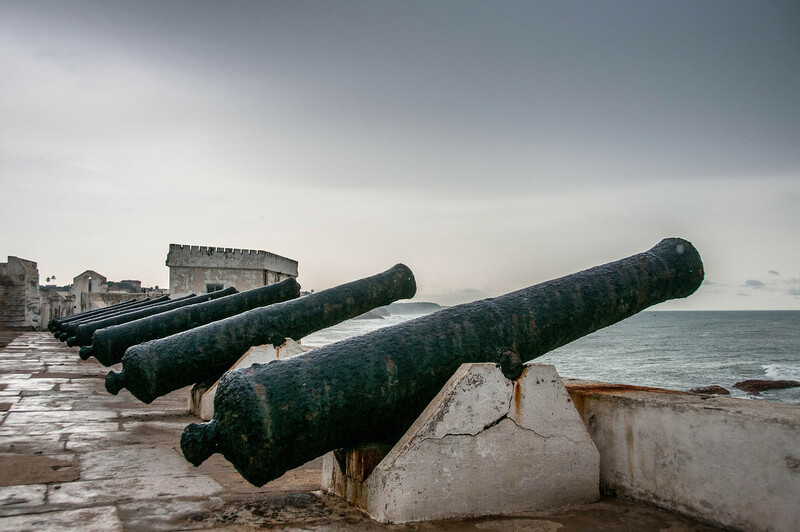 This fort was built for by the Dutch in order to protect Fort Elmina from any attacks coming from the sea. Fort Amsterdam was built by the English in Kormantin, which is located in Ghana’s central region. The construction of this fort took place in the mid-17th century. It eventually became part of the Dutch Gold Coast and remained that way until 1665 when it was captured and became part of the Dutch West India Company. This is another component site to the UNESCO protected area Forts and Castles, Volta, Greater Accra, Central and Western Regions. It was built by the Dutch during the 17th century. It is located in the town of Apam. The Cape Coast Castle is one of the most important components to the Forts and Castles, Volta, Greater Accra, Central and Western Regions. It is also the most recognizable landmark within this protected area. It is one of about 40 slave castles that were constructed on the coast of West Africa that was built for the European traders. This is where the slaves were loaded before they were carried onto ships. It is also known as the “gate of no return” since the castle served as the last stop for these slaves before crossing the Atlantic Ocean. This fort served as the first military building that was constructed in Cape Town. It was built for by the Dutch East India Company in 1652. It served its purpose until 1674 until it was superseded by the Castle of Good Hope. View my complete list of UNESCO World Heritage Sites in Ghana. View my complete list of UNESCO World Heritage Sites in Africa.